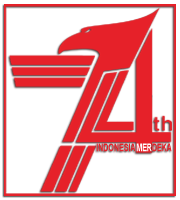 You are a biker who is looking for smart helmet? Yes, we mean really smart. 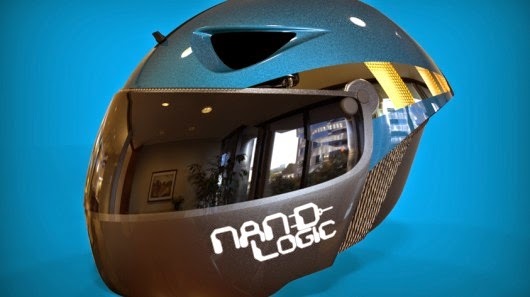 Maybe later you can buy this Nand Logic's Smart Helmet when it goes on sale. 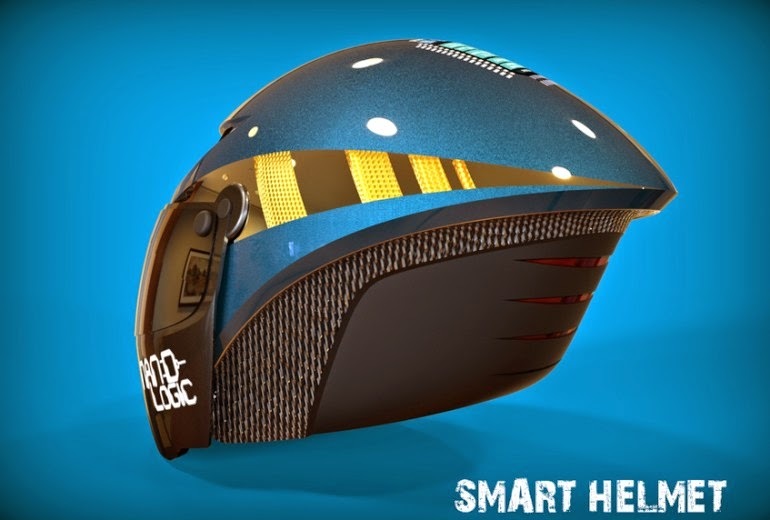 Nand Logic Smart Helmet is not mediocre smart helmet because this helmet does have a myriad of features that guarantee no other helmet could match its ingenuity. 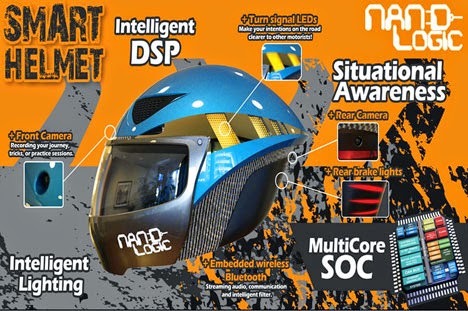 This smart helmet is worth mentioning 'smart' because it constitutes Multicore SoC (System on Chip) that controls a lot of electronic devices including multiple sensors in it. 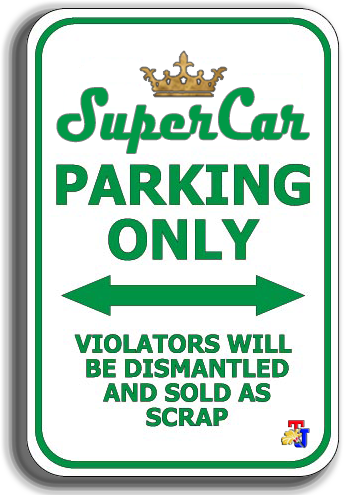 In the front and rear, there are 2 HD cameras that can record our travel activities and saved to an SD memory card, the recorded video may be useful when we have an accident or to claim the insurance. At the helm, there are LED lights that serve as spotlights (headlight), turn signals and brake lights. Cool isn't it, and everything is working or active automatically depending on conditions because in this helmet has Ambient Light sensor and Accelerometer. So when we turn, the sensor will automatically turn on the turn signal in the turn direction or when it is dark, ambient sensor will automatically turn on the spotlights on the front, as well as when you brake, the brake lights will automatically turn on. Through the help of a camera and software in it, the helmet is able to detect danger, for example, there is an object in front is too close, the system will give a warning to light or sound. When the weather at the helm felt quite hot, the fan is on the inside of the helmet will begin work to create a better air circulation so that the wearer is not easy or quick to sweat which can sometimes interfere with concentration. 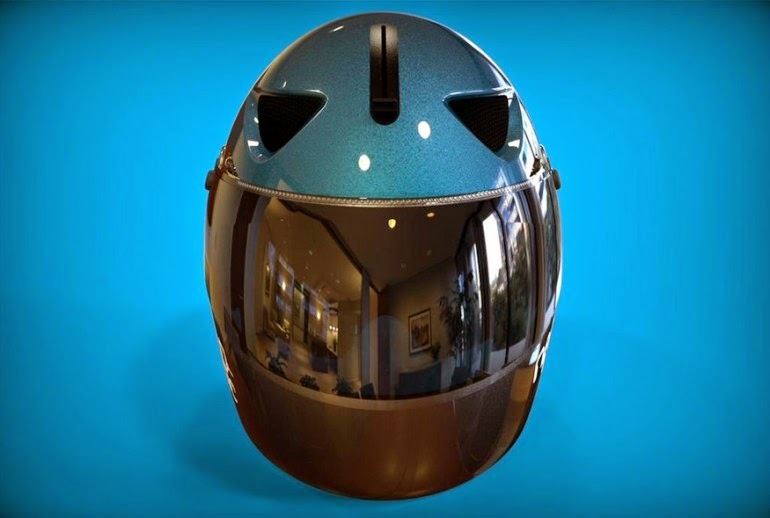 This helmet has internal and external noise cancellation mics that can muffle the noise from the outside but on the one hand, the existing system is able to recognize the sound of a siren so that we could still hear the sound of sirens. Where if there's a lot helmets like this, it is able to communicate with the phone via Bluetooth signal.